Follow the highs and lows of five teenage friends living on the Cornish coast, as they make up and break up, discover new strengths, and find out what romance really means! What should beautiful, kind-hearted Lia do when she accidentally makes a determined and vengeful enemy? 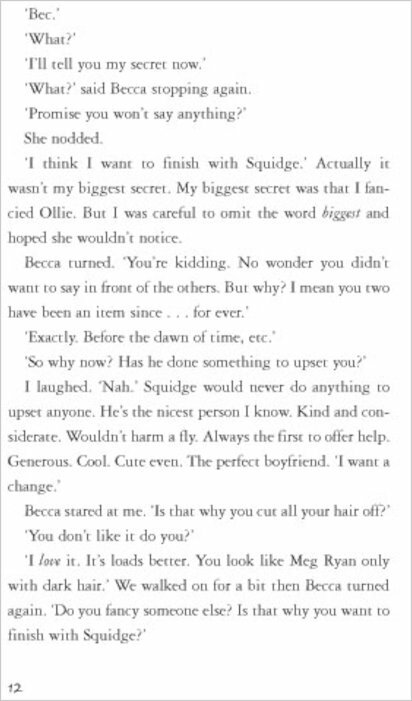 Can Squidge hang onto his girlfriend, Lia, when a beautiful celebrity shows an interest in him? Will Cat be able to handle the changes at home when her boyfriend does a runner? Can Mac manouevre his way out of a series of dating disasters? 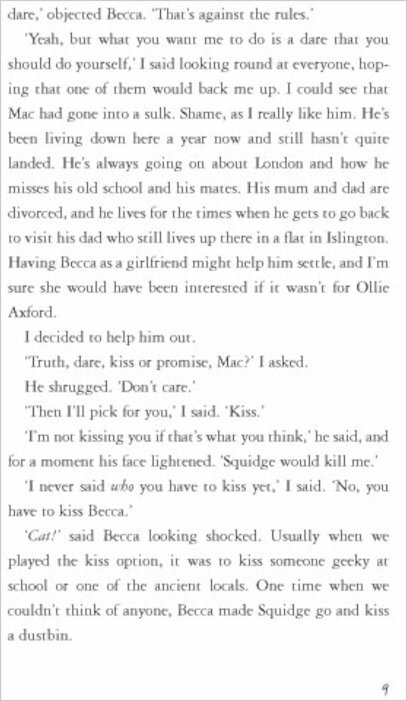 And what does Becca really want from life – and from a boyfriend? Find out in these entertaining and realistic stories from the author of the brilliant Mates, Dates series. 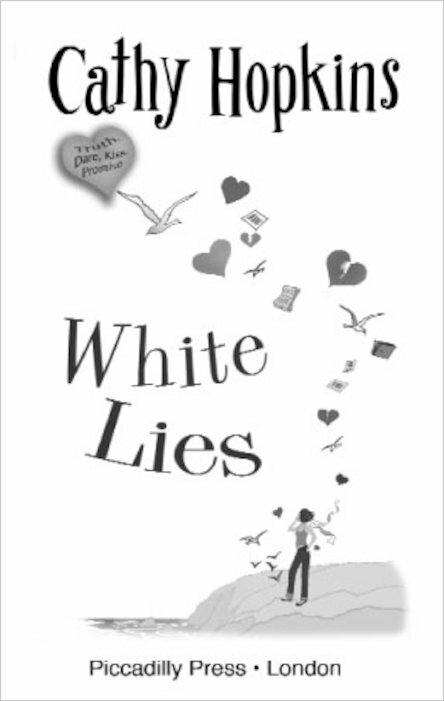 I really liked White Lies, it was such a fascinating book to read. I stayed up til late reading it, I couldn’t put it down! 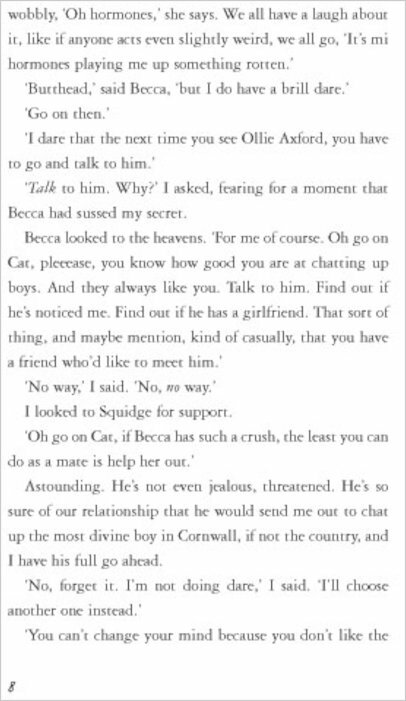 My favourite character was Becca because she stuck by her friend and when Cat was in the wrong, she understood Cat. 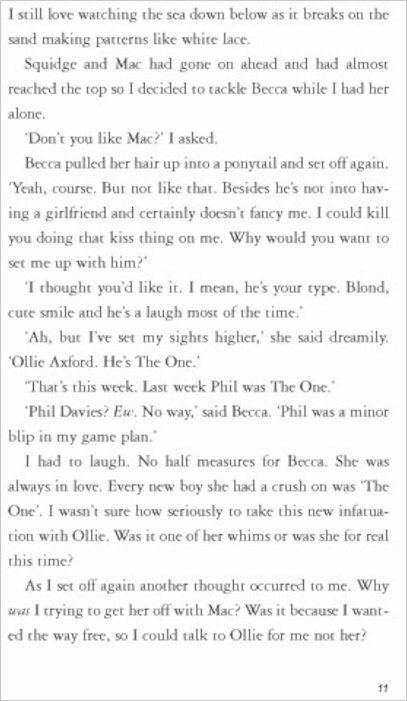 My worst character was Ollie because his character was annoying and he used people. 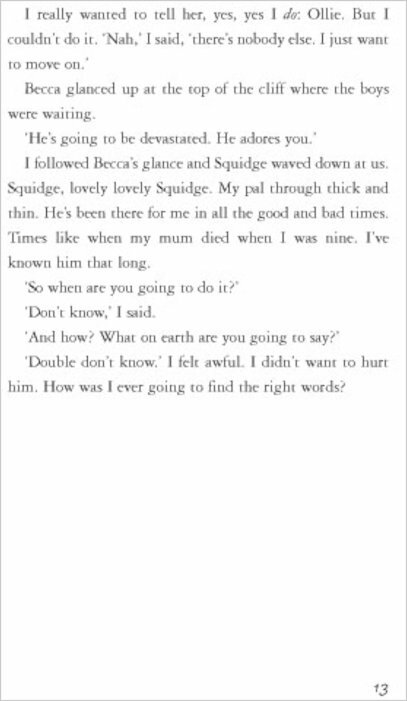 I think Squidge was really cool and nice to give Cat that really nice bracelet. 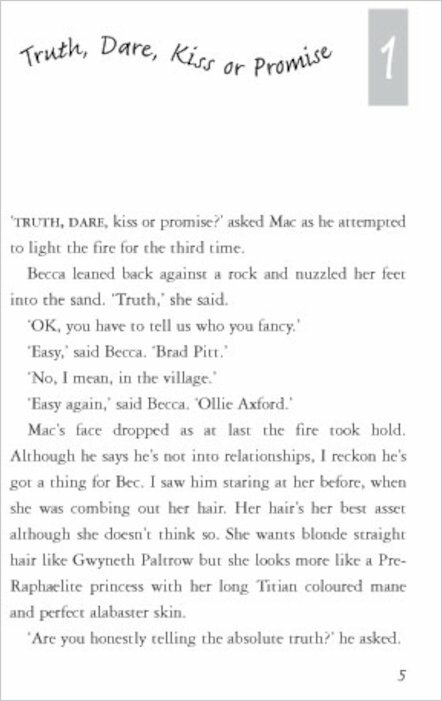 I liked the book, so I might borrow the rest of the Truth, Dare, Kiss, Promise Series. It was pretty cool! I think this book is 10/10 and I really like Cathy Hopkins. I think she’s a great author. This book was fascinating and was really exciting! 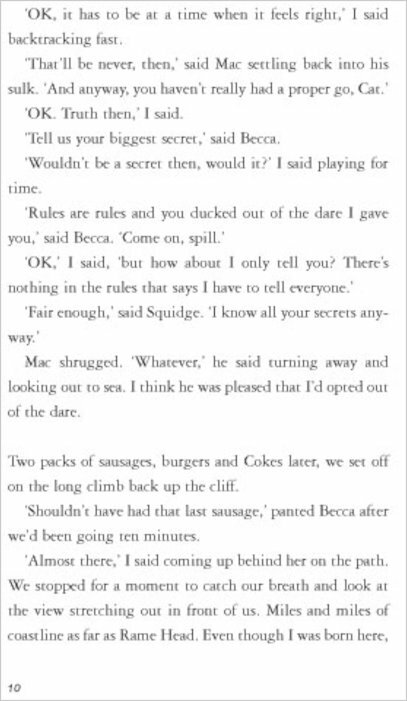 It sort of sometimes went on a cliff-hanger which was cool!